There was a nice preview feature in the business section of today’s Irish Independent on next weeks finals of the National Enterprise Awards and the 32 companies from all over Ireland that are through to the Finals. Please click on the article to read it. The National Enterprise Awards are being held on Thursday (25th May) in The Mansion House, Dublin 1. In attendance will be the Taoiseach. Twelve awards will be presented including eight regional awards. The overall winner will receive €10,000 to invest in their business. It’s black tie, so are going to have to abandon our ‘no suits’ rule for the evening and be on best behaviour, but we are looking forward to it. The Nationa Enterprise Awards focus on SMEs of 10 people or less that are deemed by Enterprise Ireland to have a lot of potential for success, particularly in the export market. Click to see the full list of companies with their website URLs. 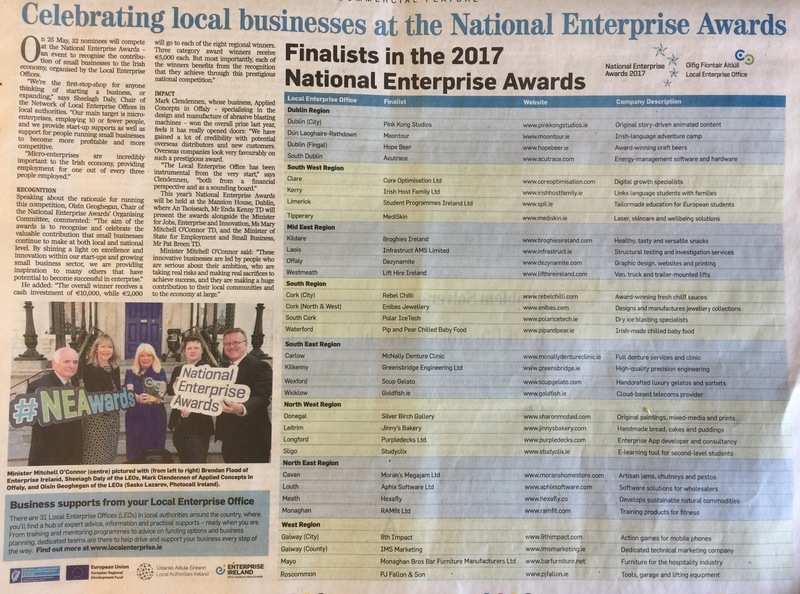 We’re finalists in the National Enterprise Awards 2017. 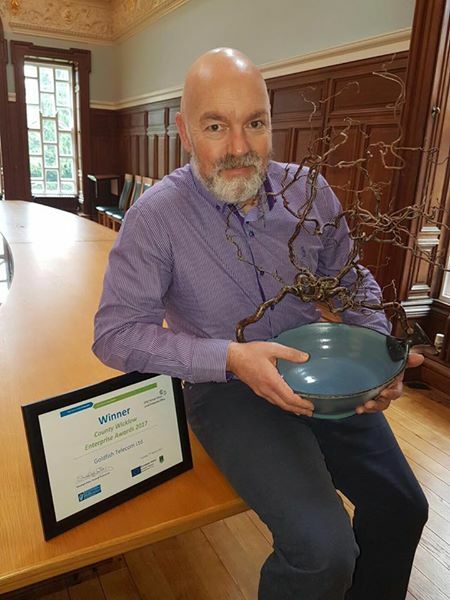 Winners announced at County Enterprise Awards 2017 – ‘Goldfish’ wins Award in Wicklow!